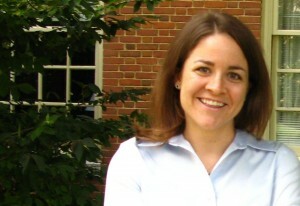 Sara Dahill-Brown is an associate professor of political science at Wake Forest University. Her research and teaching interests in American politics focus on public policy, education, state and local government, and democratic accountability. She also teaches courses in quantitative research methods. She earned a Masters and PhD in political science from the University of Wisconsin–Madison, where she was also an advanced fellow at the Wisconsin Center for Education Research. Her dissertation, The State of American School Governance: Who’s in Charge and Does it Matter? investigates changing power relationships between state and local authorities, and the consequences of centralizing political authority. She grew up in Salt Lake City, Utah, and earned a BA in Political Science and Sociology from Trinity University in San Antonio, Texas. Prior to entering graduate school, she taught in the Rio Grande Valley of Texas with Teach for America. POL 212: Making and enacting policy involves adjudicating among political, moral, and administrative imperatives. This course focuses on the substance and outcomes of policy as much as on the political processes of producing and contesting it at the national level. To understand the policy process in this broad context, the course casts a wide net. Part I defines politics, public policy, surveys the cultural and institutional contexts in which policy is made, and then moves on to discuss foundational theories of the policy process. Part II examines the practice of policy analysis; students will have the opportunity to apply these lessons to their final projects. Part III targets policy-making across several broad issues areas. In this last component of the course, students will be introduced to economic, health, environmental, educational, and/or welfare policy (depending on time and student interests). POL 280: The amount of quantitative data available in the world is overwhelmingly large today. Political parties, governments, non-profits, and corporations increasingly rely on quantitative analyses to make important decisions, and regardless of career path, students need to be literate in basic statistics. Numbers enable us to know – and see patterns in – a world that might otherwise be too complex for us to grasp. In this course, students will be introduced to the range of available data and basic statistical techniques, including the statistical software, R. Students will learn to frame quantitative research questions and understand the processes that generate political and social data. Students will compute and interpret descriptive statistics, explore bivariate relationships, and estimate multivariate models.